Brand new at the drugstore is the Wet n Wild Mermaid Highlighting Bar. 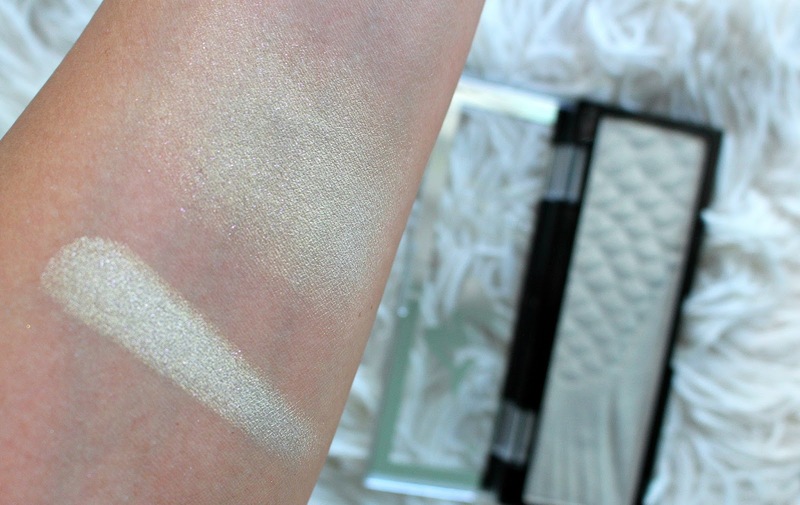 If you'd like to see the entire collection in action I have a Live Swatch Video. I swatched the Mermaid Metallic Liquid Lipsticks as well. 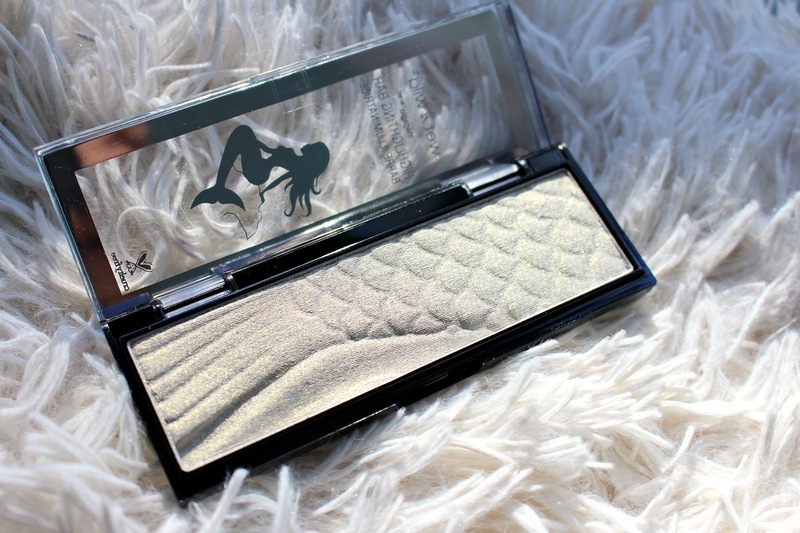 The Wet n Wild Mermaid Collection Highlight retails for $6.99 which is incredible price. The texture is super smooth, with no glitter. It definitely has unique coloring, it won't be for everyone. I think that's okay, we have a plethora of champagne highlights at our fingertips. It has a gold, leaning green (although not super green, mossy, sagey?) with pink reflect, like I said, unique! I also love that the mermaid tail embossed doesn't disappear as soon as you use it.